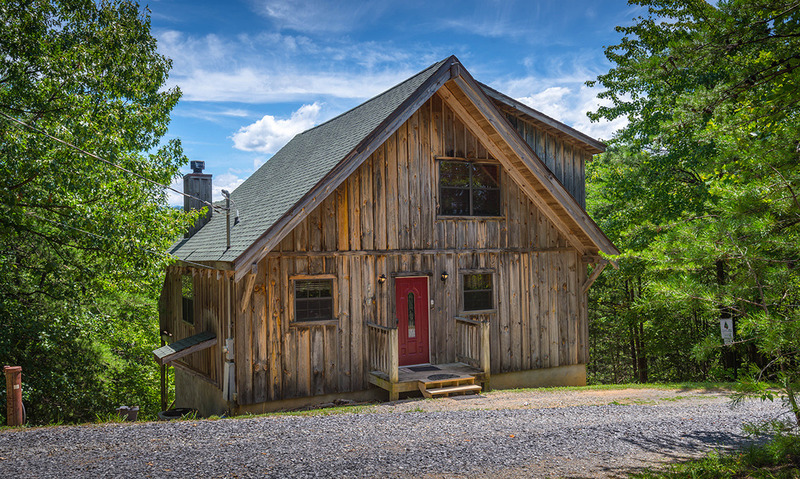 Escape the stresses of home, work, and school for the kids, to this charming and rustic cabin modeled like a historic structure you would find in Cades Cove on the exterior while boasting bright, polished wood and modern luxuries on its interiors. 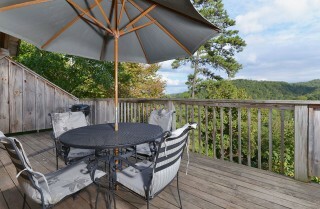 This 1-bedroom +loft cabin getaway is situated high in the mountains at the end of a steep gravel driveway offering guests incredible views over the lush forestry tree lines and quiet, peaceful seclusion to relax your mind and body while soaking in the outdoor hot tub or dining under the patio table umbrella. 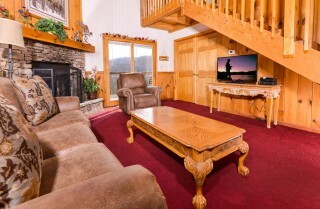 Boasting more than 1,600 square feet to spread out and enjoy, Bella Vista has space for up to 6 guests for a small family vacation, a mountain escape with friends, or a bachelor party weekend getaway. Kick back by the impressive stone fireplace for evening games or nightly movies on the large flatscreen TV in the living room or shoot some pool in the rec loft before turning in for the night in the 2 king-size beds and sleeper sofa. 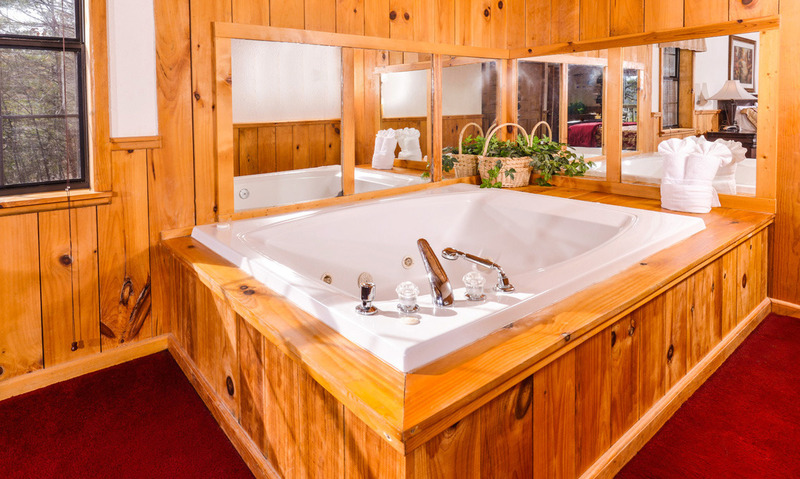 After touring the Tennessee Whiskey Trail or taking scenic hikes in the Great Smoky Mountains National Park, return to Bella Vista to relax and unwind in the 2 large indoor jetted tubs located in each room. 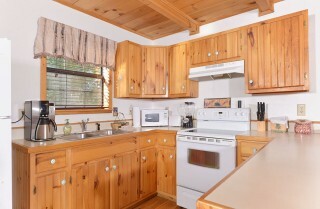 Stay in Bella Vista for a multi-course supper in the charming fully loaded kitchen. 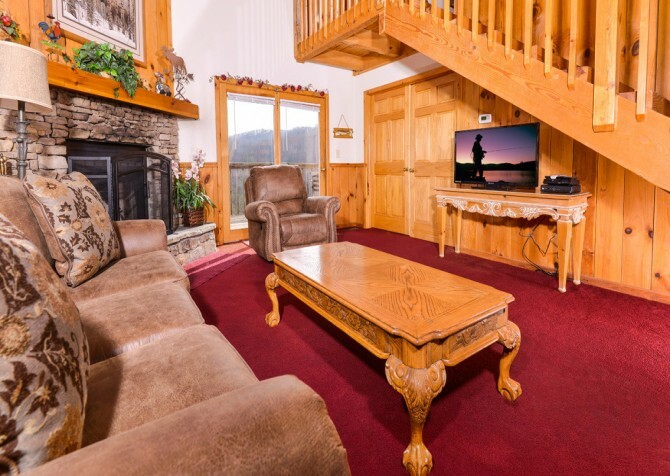 Whether you are soaking in some quiet time in the evenings while watching TV in the king-size beds or sharing drinks late into the night on the deck as the stars twinkle on the horizon, enjoy beautiful Smoky Mountain cabin moments with the people who matter most while staying in the gorgeous Bella Vista in Gatlinburg, Tennessee. 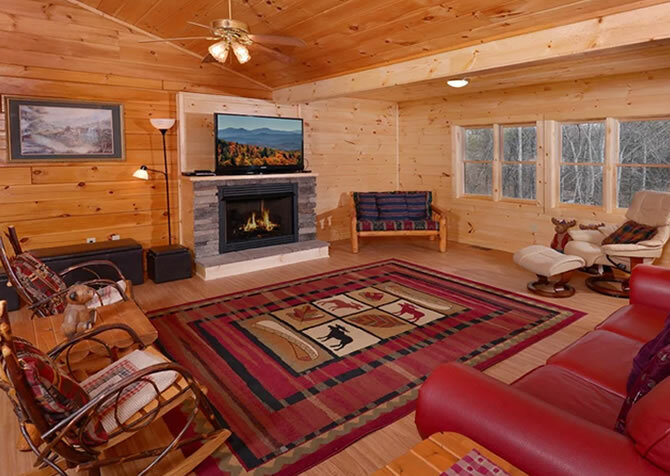 Framed by high loft ceilings and windows looking out to lovely Smoky Mountain forestry and beautiful skies, the cozy living room is an inviting atmosphere where everyone feels like family. 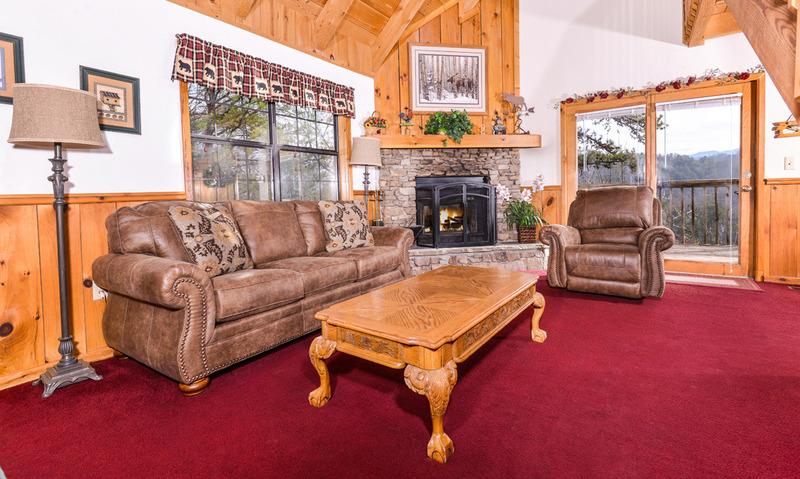 Settle into the plush suede couch and recliner while watching your favorite DVDs from home on the flatscreen TV with the kids or playing a hilarious game of charades. 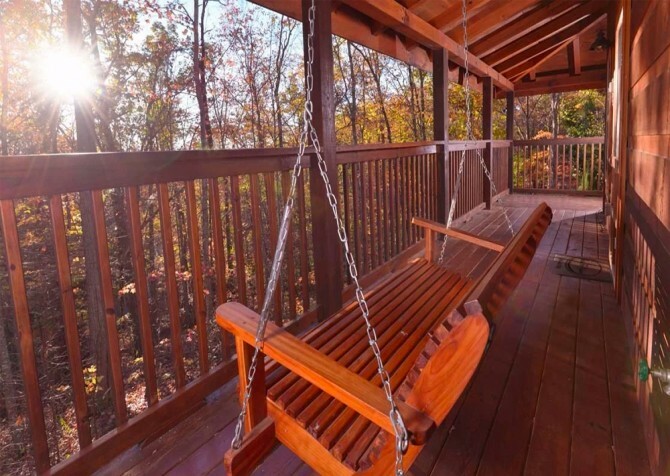 Spend evenings catching up with old friends while sipping on glasses of local wine from the Rocky Top Wine Trail and lovely flames dance in the impressive stacked-stone, wood-burning fireplace. Grab your current reading obsession and sink into the cozy recliner to read in the ample midday sunlight pouring in through the glass doors or drift off on the couch in the dreamy afternoon sunlight during cabin downtime after a morning of horseback riding in Cades Cove. 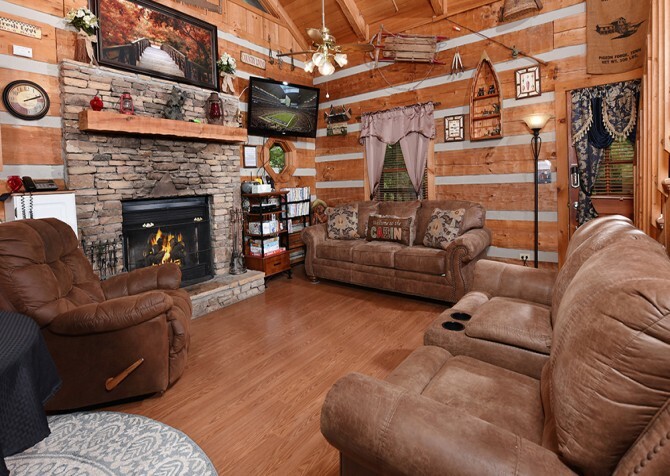 The cabin also has a new mobile hotspot, so it'll be easy to stay connected, keep up with what events are going on, and more. Warm wood tones are balanced by white appliances in this charming cabin kitchen with spacious countertops and beautiful wood flooring. 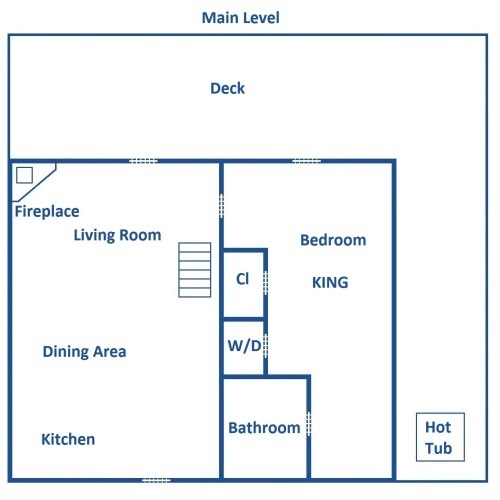 Whether it’s cooking a large, multi-course dinner, a quick snack at midnight, or icy mixed drinks to enjoy on the deck during a warm afternoon, guests will find every appliance and tool they need in this fully loaded kitchen. 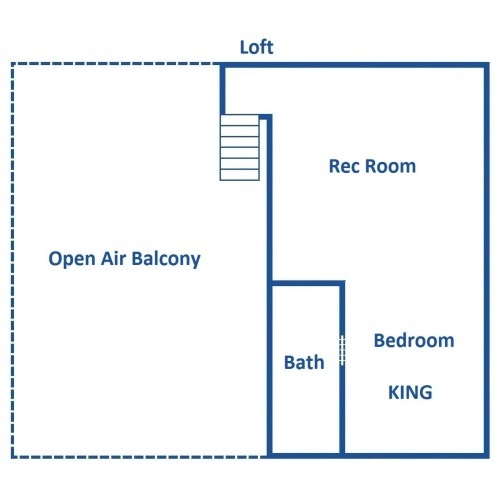 No need to find the closest Starbucks; sip on a hot cup of coffee freshly brewed right from the kitchen’s coffeemaker or create your own breakfast smoothie in the blender. Store leftovers from all your favorite Smoky Mountain eateries in the full-size refrigerator and calm those midnight stomach rumblings with a reheated snack from the microwave. 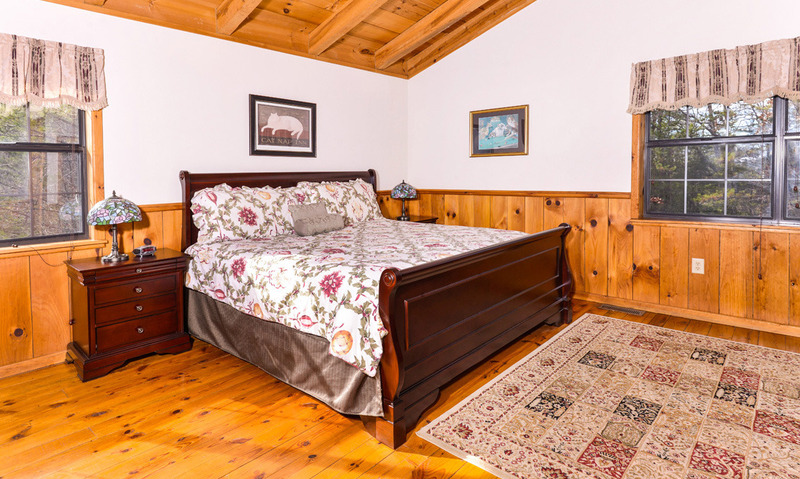 Both the enclosed bedroom on the entry level and the loft bedroom boast cozy king-size beds, mountain-motif furnishings, flatscreen TVs and DVD players, and convenient direct bathroom access. 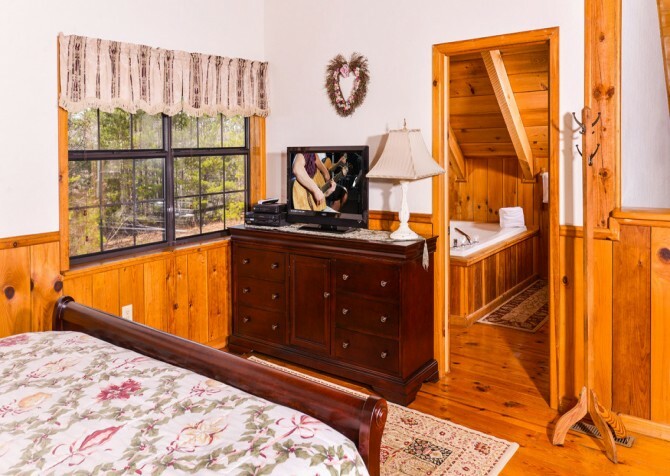 Plug in all your electronics in the ample outlets found near your bedside tables each evening to have your cameras and smartphones readily available to capture every moment each day of your Smoky Mountain vacation. Thanks to large dressers and closets, finding the perfect outfit each day is much easier than living out of suitcases! 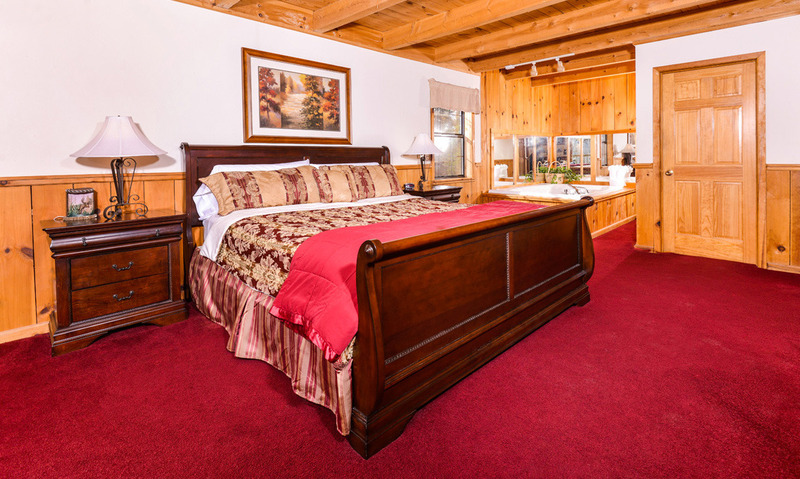 Escape to the comfort of your bed to read under the light of the bedside table lamps or fall asleep to some TV, enjoying another restful night before another exciting day in Gatlinburg. The lovely loft rec room overlooks an open-air balcony to the living room area and windowed views of the lush Smoky Mountain forestry for a relaxing space to kick back and hang out with friends. 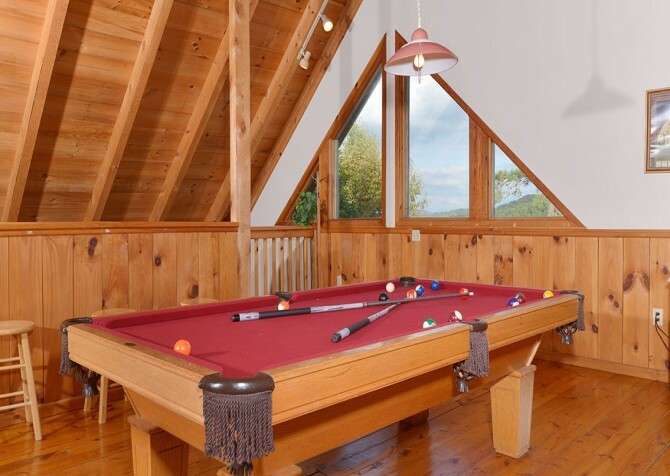 Play a couple rounds of pool on the full-size billiards table while sipping on local Smoky Mountain Brewery beers and listening to music on the CD player for a relaxing evening in your private pool hall. Wait your turn on the pool table or act as the resident DJ for the night while seated at the bar-style seating and hanging out with friends! Take advantage of incredible relaxation with peaceful mountain views found right on the back deck of Bella Vista during your stay. Take in the lovely Smoky Mountain forestry in between each riveting chapter of a book while lying in the lounge chairs or simply enjoy each warm sip of your freshly-brewed coffee while gazing across the serene morning skies. Bring meals to the patio table and savor every bite under the shade of the umbrella while more burgers sizzle on the charcoal grill nearby. Start and end your days in Bella Vista with rejuvenating soaks in the bubbling, steamy waters of the outdoor hot tub while the songs of birds or chirps of crickets carry through the forests below. 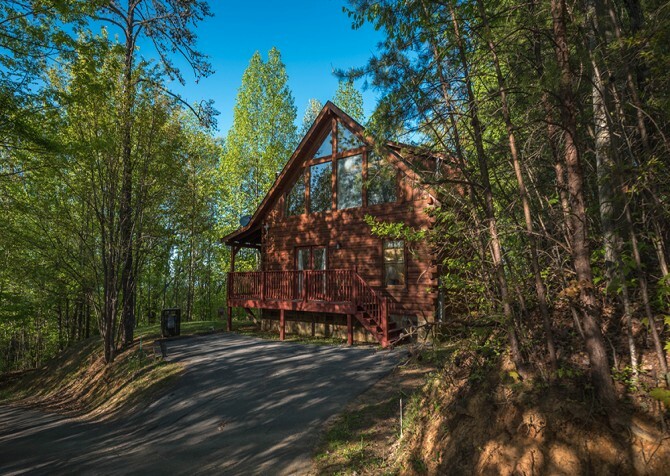 Conveniently located close to downtown Gatlinburg and the bustling city of Pigeon Forge, daily trips to whitewater rafting, Dollywood, delicious restaurants, Ripley’s attractions, and more are only short drives away! Along the scenic 8-mile loop of the nation’s oldest and largest organization of independent artisans, visitors are entreated to beautiful, one-of-a-kind artwork. The Great Smoky Arts & Crafts Community houses unique pottery makers with their own signature styles where guests can buy the perfect culturally-rich souvenir! The Smokies is known for a lot of outdoor adventure sports like fishing, whitewater rafting, and ziplining, but did you know that skiing is possible this far South? Visit Ober Gatlinburg where 10 beautiful white slopes are primed and ready for skiing, snowboarding, and snow tubing. 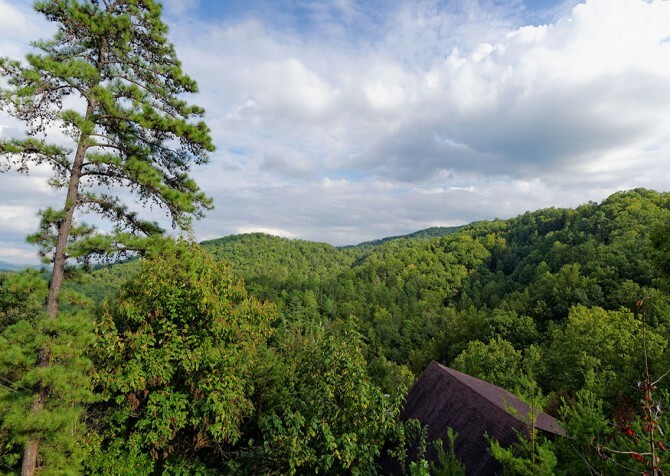 Whether you are a hiker, a photographer, or wildlife enthusiast, you definitely will want to experience this 5-day celebration of nature in the Smoky Mountains held every year in April in accordance to the lovely blooming and reawakening of life in the mountains! 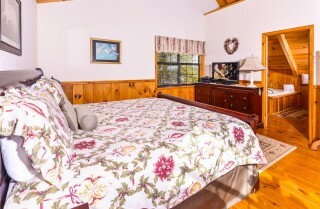 "The cabin was very clean, the view was absolutely amazing . 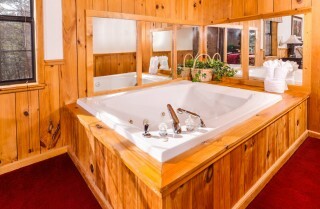 Jacuzzi was very relaxing and the different color light gave it that finish touch . I would definitely recommend this cabin to couples, or a small family. 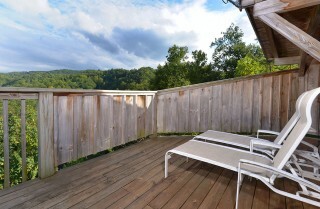 We truly enjoyed our stay and can’t…"
"Fantastic view!! We stayed here for our wedding/honeymoon!! 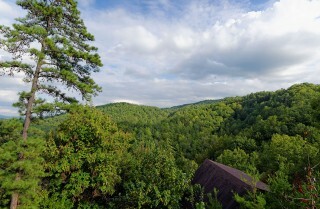 The location of the cabin was central to both Gatlinburg and Pigeon Forge! Very clean! 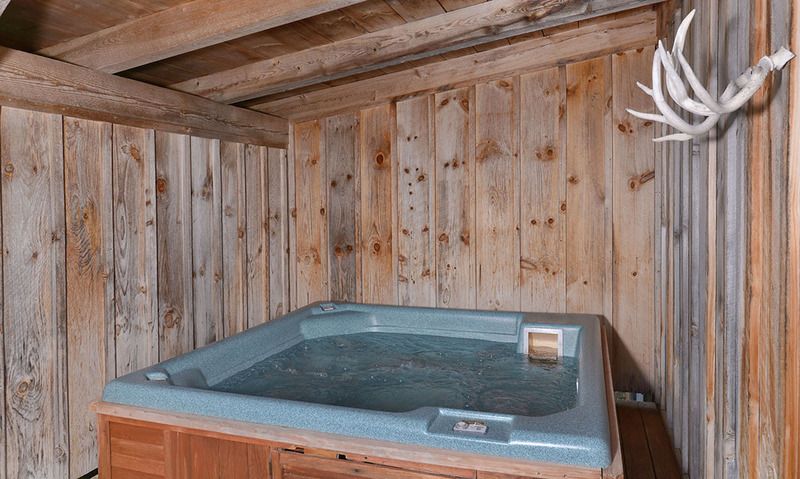 Only complaints were the hot water heater was not enough to fill the jacuzzi in the master and the terrain on the way up was just a little rocky! Would definitely book again!" Thank you so much for taking the time to leave us a great review! We are so happy we were able to serve you for such an important occasion, and we cannot wait to do so again in the future! 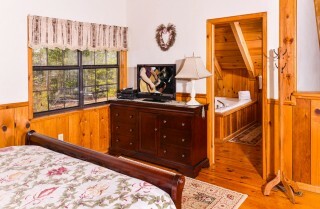 "The cabin was very clean, the view was absolutely amazing . 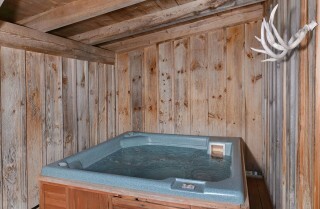 Jacuzzi was very relaxing and the different color light gave it that finish touch . I would definitely recommend this cabin to couples, or a small family. 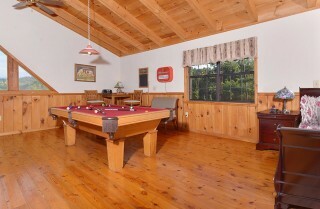 We truly enjoyed our stay and can’t wait to go back !" This is what we love to hear! 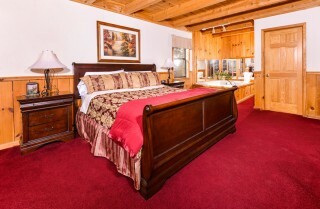 We are stoked that your Smoky Mountain stay at Bella Vista was so memorable! We look forward to serving you for many years to come. Hope to see you soon!